Nothing looks, feels or functions like your natural teeth, and endodontists are the experts in saving teeth. Keep smiling and eating the foods you love with endodontic treatment that can relieve your pain and save your teeth. Sometimes your teeth may have infection or disease and will need additional care. When possible, you should always consider treatments to save your teeth. 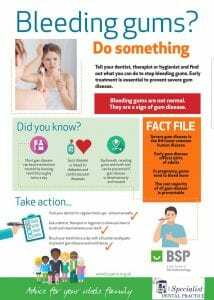 You may think, why not have a tooth pulled, especially if no one can see it, but you will know your tooth is missing and it will negatively impact your quality of life. Don’t get a tooth pulled because you think its easier or more cost-effective. Missing teeth can cause other teeth to shift, affect your ability to properly chew and ruin your smile. Tooth extraction often is more painful than the infection itself, and replacing an extracted tooth with an artificial one requires additional dental visits that can quickly add up. Modern endodontics offers advancements in technologies, procedures and materials, giving you many treatment options to save your natural teeth. It’s important to understand your choices and how they’ll impact both your tooth and your future dental health. It’s always best to retain your natural teeth whenever possible and endodontic treatment should be your first choice for the best health and cosmetic results. Endodontists are specialists in saving teeth. They can evaluate your condition and provide the best treatment plan to help you save your teeth for a lifetime. When given a choice between tooth extraction and root canal treatment, always opt for a root canal. No denture, bridge or implant will look, feel and function as well as a natural tooth. Act immediately when you experience symptoms of swelling or pain. Most endodontists can accommodate emergency cases, even on weekends, ensuring you’ll be seen quickly. If your dentist recommends tooth extraction, ask whether the root canal is an option.If you’re told root canal is not an option, ask why and request a referral to an endodontist. Root canal treatment from an endodontist is virtually painless and often leaves you with less discomfort during recovery than if you have your natural tooth extracted. Thanks to modern techniques and effective anesthesia, patients who experience root canals are six times more likely to describe it as painless than patients who have a tooth extracted! Take the time to learn more about root canal treatment and some of the common misconceptions about it and then take the first step to a pain-free, healthy mouth by visiting an endodontist. 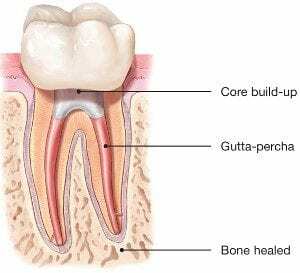 When you undergo a root canal or other endodontic treatment, the inflamed or infected pulp is removed and the inside of the tooth is carefully cleaned and disinfected, then filled and sealed with a rubber-like material called gutta-percha. Afterward, the tooth is restored with a crown or filling for protection and will continue to function like any other tooth. For more detailed information on root canal or to organise for a consultation, call us or get in touch online. 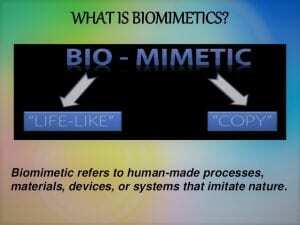 Translated literally, biomimetic dentistry means to copy what is life-like. Nature has provided the most successful and ideal properties to our natural teeth. When restoring damaged, broken, and decayed teeth, the goal is to return the tooth to its original strength, function, and esthetics. 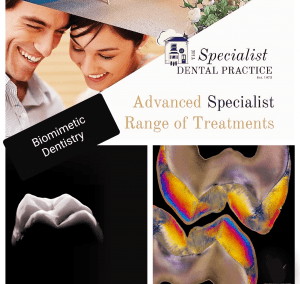 Biomimetic dentistry accomplishes all of this in a conservative, strong, and attractive approach. Biomimetic dentistry replicates the strength, function, and aesthetics of natural teeth by replacing only damaged, decayed, and broken tooth structure. The principle employs techniques and materials that provide a perfect balance of nature, art and science. Teeth move, bend and have physical dynamics of force that must be accounted for while re-making the tooth with nature as our guide. Much of the amputation of tooth structure can be eliminated with modern science. 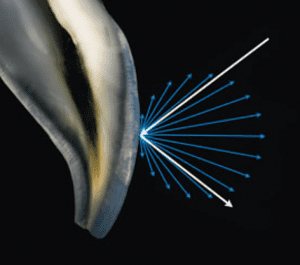 We can say that tooth preservation and dental conservation lie at the heart of biomimetic dentistry. 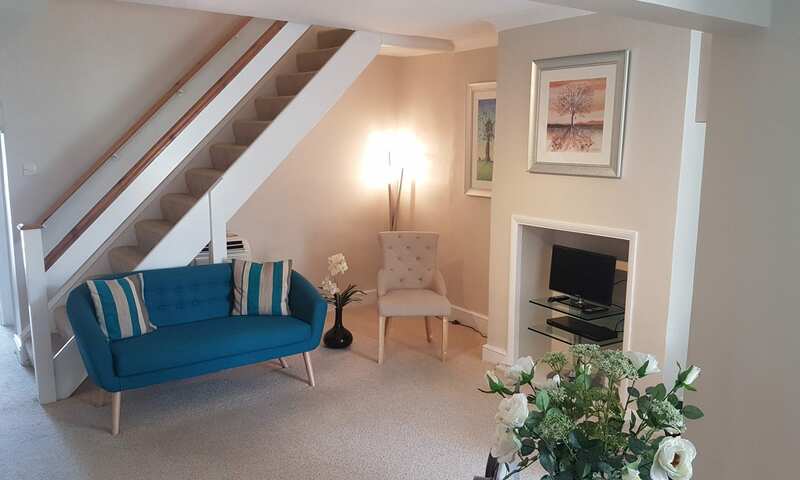 Give us a call to find out more or book a consultation appointment. 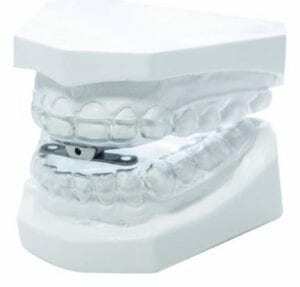 Mandibular Advancement Splints are customised oral devices to help manage snoring. 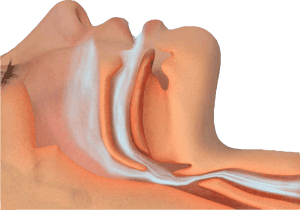 For more information, visit www.britishsnoring.co.uk, or call the practice for any further queries. Cosmetic dentistry has become increasingly popular, largely as a result of social trends and increased media coverage. This understandable desire for the alleged ‘perfect smile’ needs to be tempered with an appropriate awareness of the significant risks associated with invasive cosmetic procedures such as veneers and crowns. Patients need to be properly informed that elective removal of healthy enamel and dentine can result in pulpal injury and poorer periodontal health in the longer term, particularly if they are young. The duty of candour means that they ought to be informed that aggressive reduction of sound tooth tissue is not biologically neutral and results in structural weakening of their teeth. Less invasive procedures such as bleaching on its own or for example, combined with direct resin composite bonding, can satisfy many patient’s demands, while still being kinder to teeth and having much better fall-back positions for their future requirements. It is the opinion of the British Endodontic Society, British Society for Restorative Dentistry, Restorative Dentistry UK, Dental Trauma UK, British Society of Prosthodontics and the British Society of Paediatric Dentistry that elective invasive cosmetic dental treatments can result in great benefit to patients, but that some aggressive treatments used to achieve them can produce significant morbidities in teeth which were previously healthy. This is a worrying and growing problem with many ethical, legal and biologic aspects, but many adverse outcomes for patients who request cosmetic dental improvements are preventable by using biologically safer initial approaches to treatment planning and its provision. The myths about water fluoridation that are totally wrong. One in three dental traumatic injuries is attributed to contact sports and accidental falls. 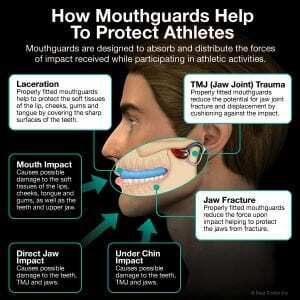 A customised mouth-guard for adults and children offers the best protection.